In this talk we'll walk through the journey of building Rockset, a data system for low-latency queries for search and analytics. Rockset enables SQL queries on schemaless datasets. What are some of the challenges when adapting SQL to principles of strong dynamic typing? We will also discuss the idea of full converged indexing -- building both columnar store and inverted indexes on all the fields in the entire dataset. Indexes make queries faster, but also increase storage costs and write latencies. When are the tradeoffs worth it? Finally, we'll talk about the challenges and opportunities of designing data systems in the cloud native world. Can we build a stateful system that autoscales based on load? Igor Canadi is a software engineer at Rockset, where he is developing its data indexing and distributed SQL query engine. 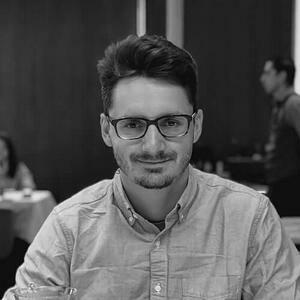 Previously, Igor was an engineer at Facebook, working on the database engineering and product infrastructure teams, where he contributed to RocksDB, developed MongoRocks and MongoDB with RocksDB storage engine, drove RocksDB open source initiatives, worked on core GraphQL infrastructure for Facebook’s Android application, and owned GraphQL developer tooling for hundreds of developers. Igor holds a master’s degree in computer science from the University of Wisconsin-Madison and a bachelor’s degree from the University of Zagreb. In his free time, he likes sailing and snowboarding.